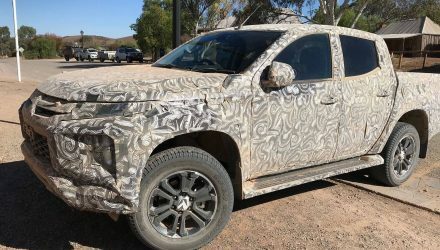 It’s no secret that Australians love utes, particularly 4×4 utes. 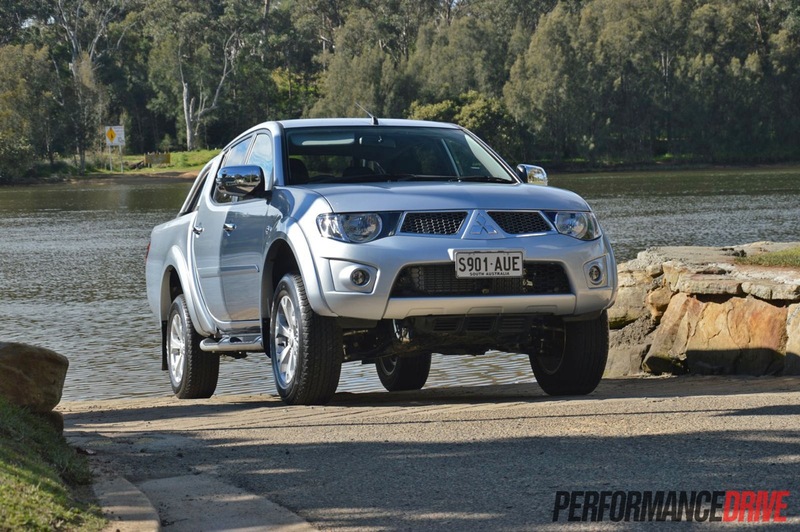 You only need to glance over the monthly sales figures to see sports trucks like the 2013 Mitsubishi Triton GLX-R are seriously pulverising the stats. 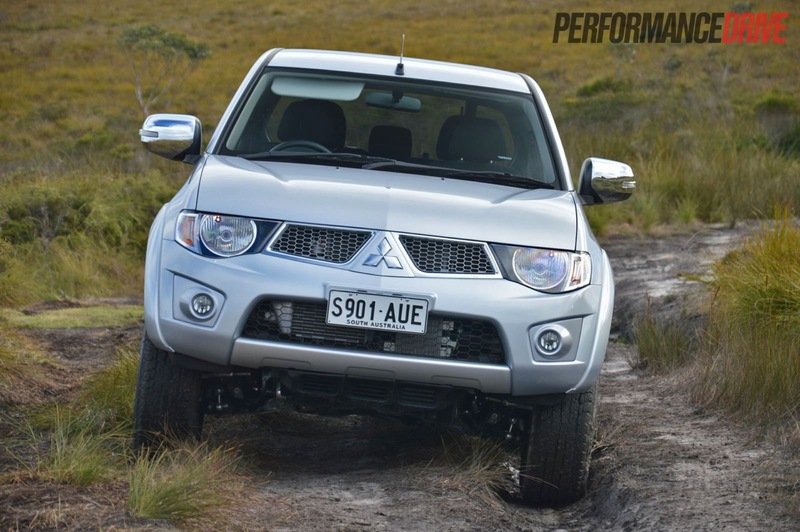 So far this year a whopping 81,995 4×4 utes have been sold in Australia. 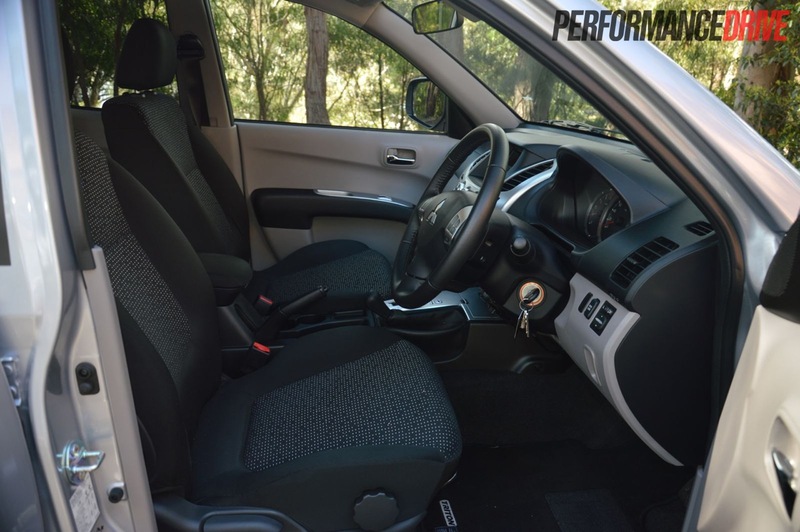 Even though the segment isn’t as popular as the small under $40k market, which has seen 145,858 vehicles roll out from the showroom floors, 4×4 utes easily outsell all SUV segments; total small SUV (42,958), medium (72,045), and large (73,051). In Australia, there are currently 14 different models on offer. 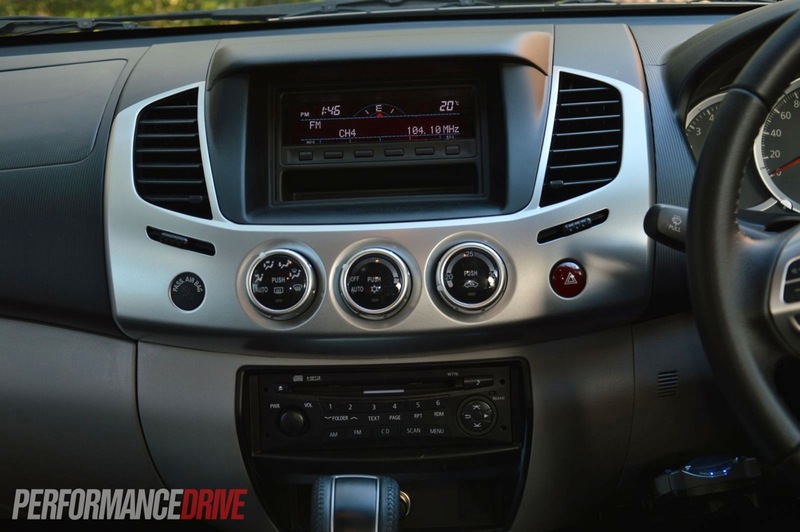 Choosing the right one can be quite a task, with all offering an array of features, and most are available in some sort of sporty variant. 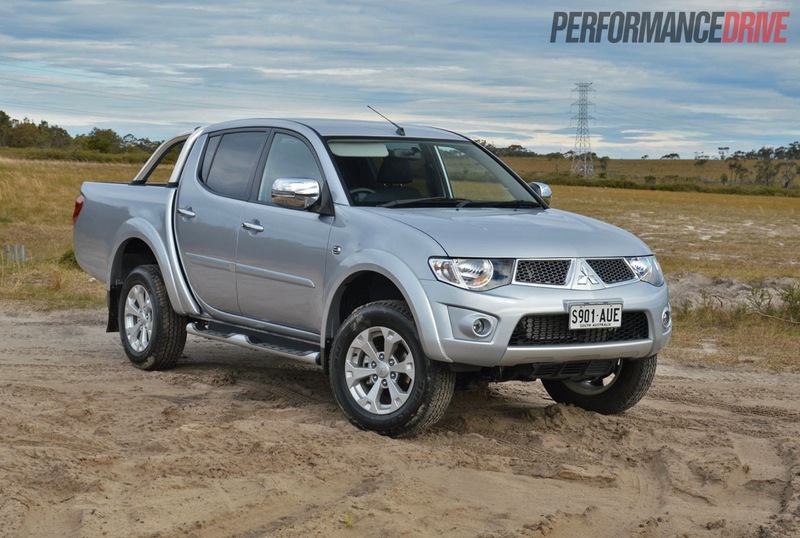 The majority of buyers – so far this year – are going for the HiLux (17,494), followed by the Nissan Navara (13,179), and then the Triton (12,483). 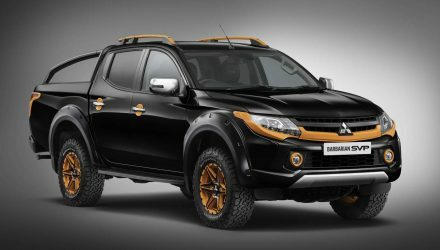 The Triton is clawing its way up the leaderboard and is almost set to overtake the Navara to claim second position. For the 2013 model, it’s a bit of a case of ‘if it ain’t broken, don’t fix it’. 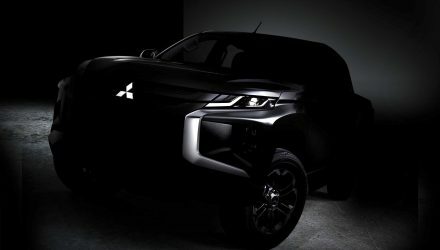 Mitsubishi has boosted safety, with more airbags now on board, and has given the seats a quick overhaul for increased comfort along with some new fabric. The GLX-R remains the sportiest in the seven-variant lineup, showing off splashes of chrome, lots of body-coloured trimmings, and a sporty set of standard features. 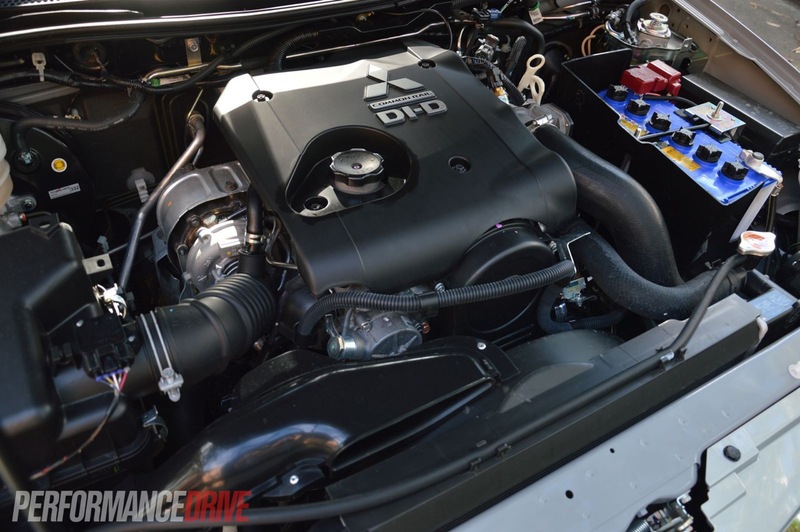 It’s only available with a turbo-diesel engine. 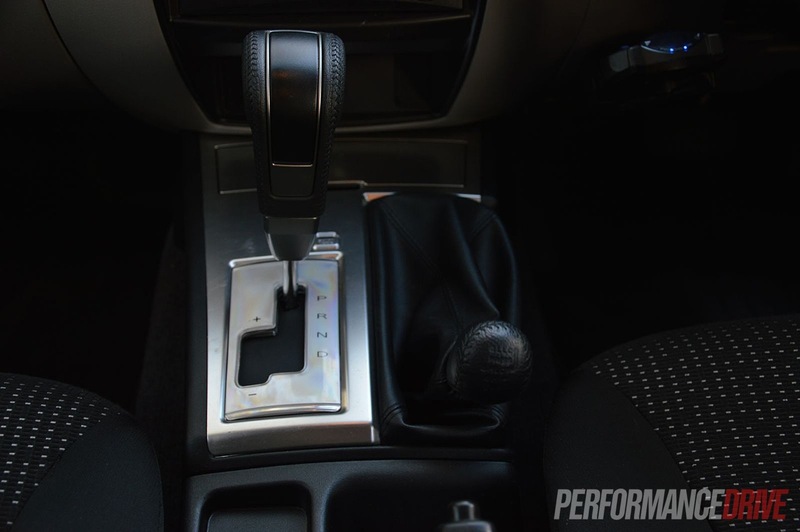 Prices for the five-speed manual MY13 GLX-R start at $45,740, while the five-speed auto (as tested) kicks off from $48,240. You can understand why so many buyers are flocking to the Triton. 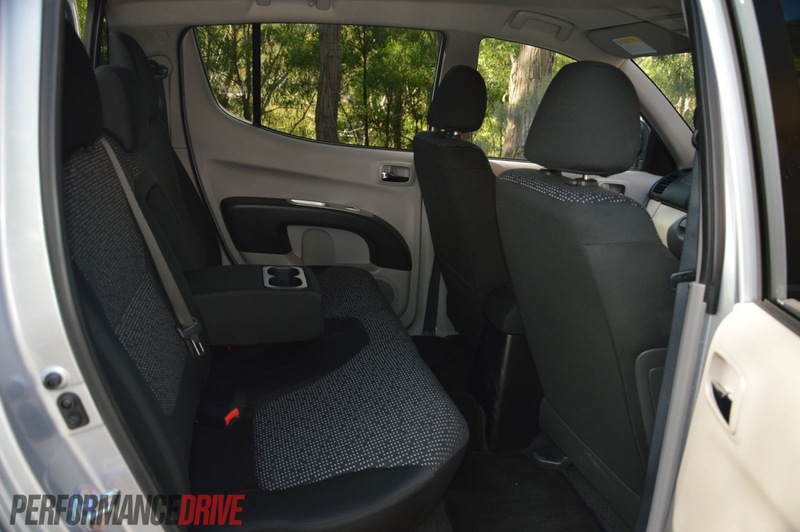 The GLX-R offers that commanding, high-riding cabin which allows all passengers to overlook the surrounding traffic, while the window sills sit low for excellent visibility. Most of the interior is decorated in three main tones, with cream used for the door trims and ceiling, with black and dark grey adding contrast. It’s a nice place inside. It feels homely and warm, yet robust enough to maintain the manly ute stature. 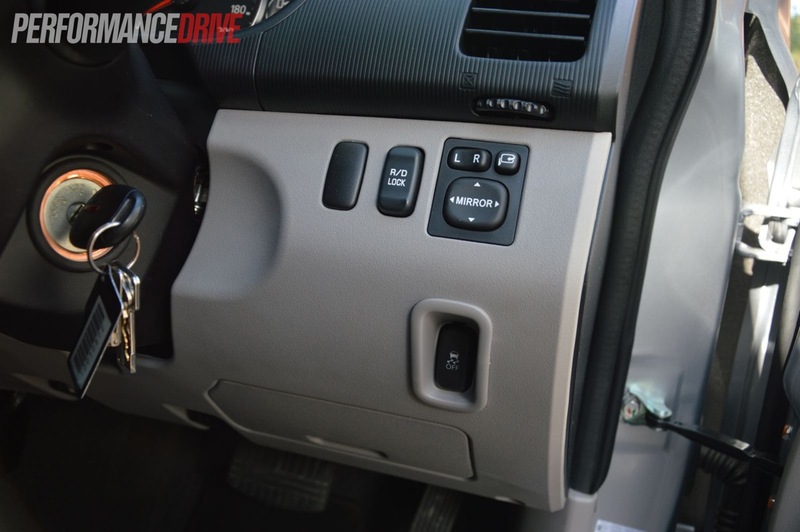 There is a lot of hard plastic around the place, especially on the centre console and dash, with some pretty tacky silver plastic around the gear level. It all seems fairly hard-wearing and is likely to stand the test of time, aside from the silver highlights. 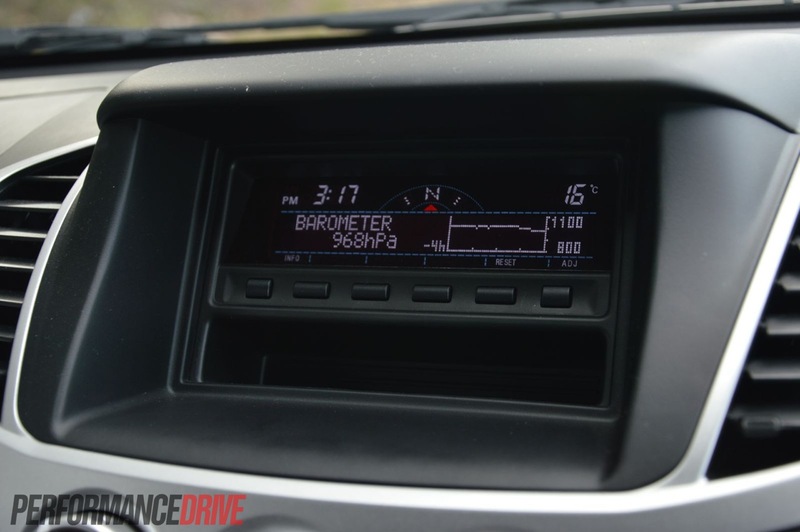 The highlights give the cabin a modern look, although, we did notice some scratches already appearing on this test vehicle which has just over 6500km on the clock. Front seat accommodation is good, with lots of cubby holes and storage space, including two cup holders, while the new seats feel comfortable enough to support long journeys. 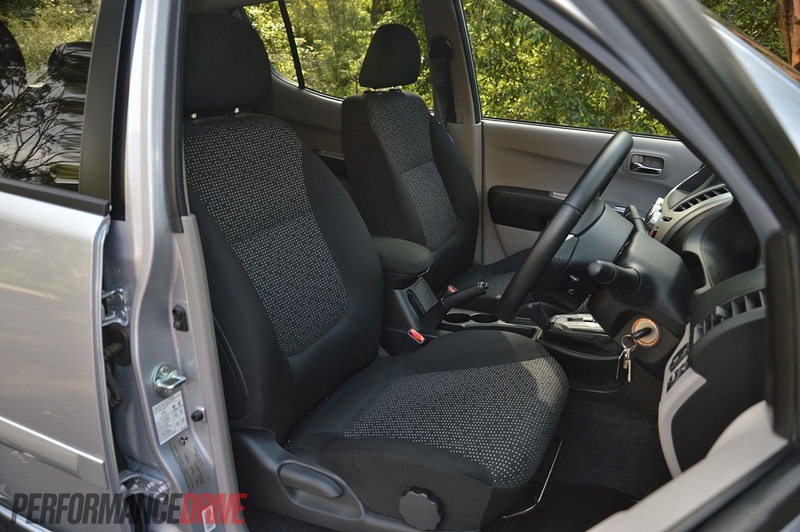 The driving position is slightly awkward though as the steering wheel sits down nearer to your knees, leaving for a van-like position. Rear seat space is also good for this segment. Passengers might notice the seat back is almost vertical. We wouldn’t say it’s uncomfortably upright, but it is just before the line. 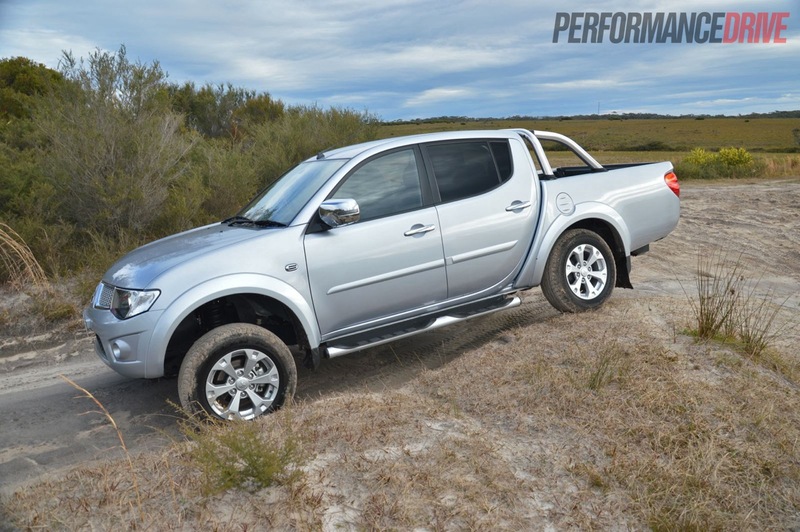 Most double cab utes aren’t much better, with some presenting an even more upright position. 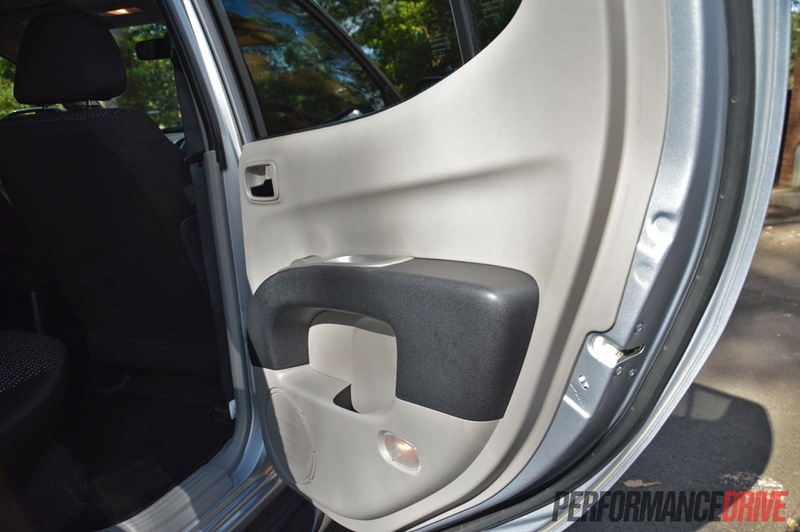 Being the top line model, the GLX-R comes with plenty of standard features. 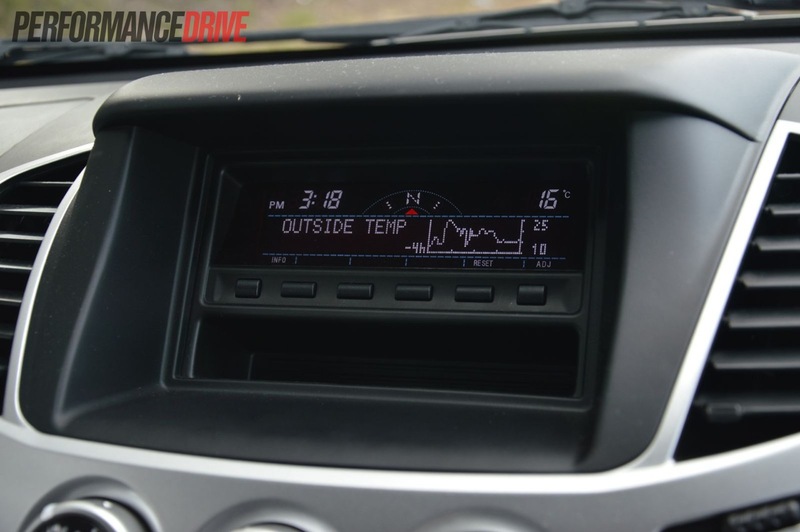 There’s climate control air-conditioning, a six-speaker stereo with MP3 and USB support, electric folding mirrors, tinted power windows, a power rear windscreen, and a unique trip computer which has a digital compass, barometer and elevation gauge. Unfortunately, it doesn’t come with auto one-touch power windows or automatic headlights, items of which appear on most top-line rivals. 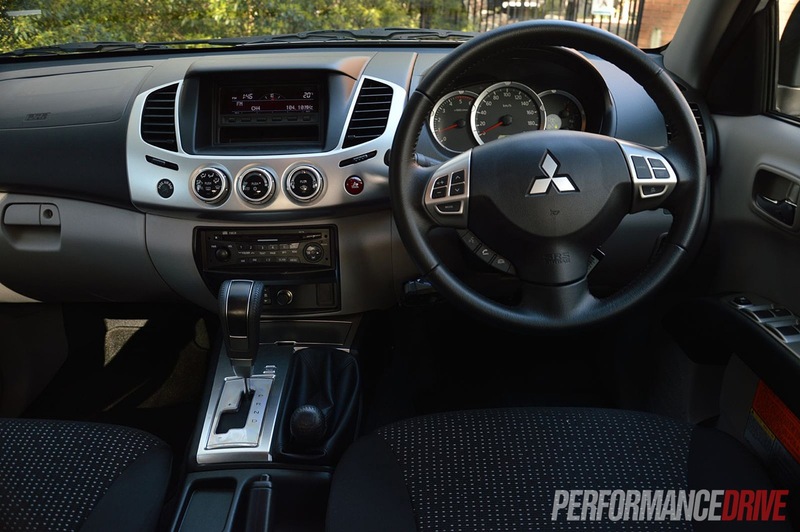 Mitsubishi has improved safety for the 2013, with six airbags, however, ANCAP safety is rated at four stars (out of five). 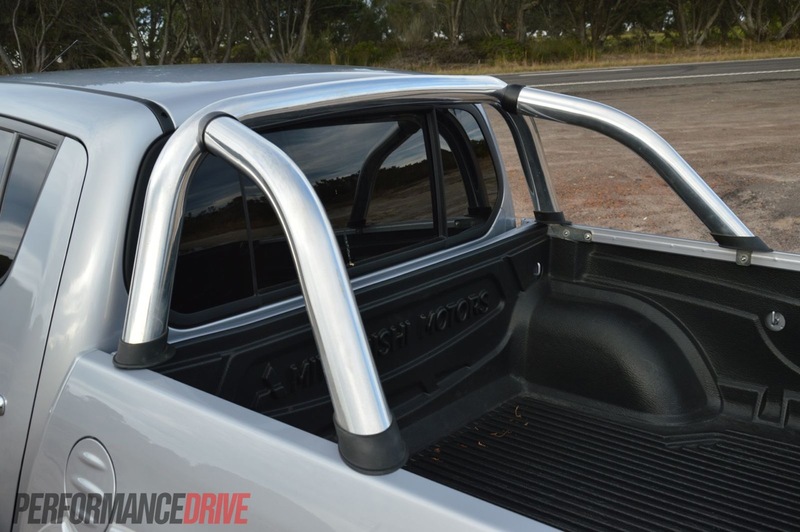 For the tradies, they’ll be interested in the front and rear cupholders and bottle holders in all door pockets, mud flaps, fog lights, and of course the comprehensive 4×4 gear. 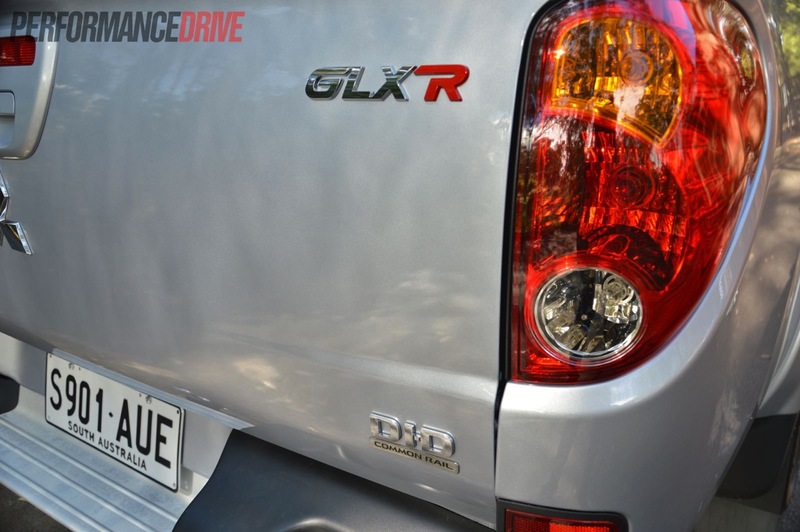 The GLX-R comes with part-time four-wheel drive with a centre diff lock and a rear diff lock, as well as low range. 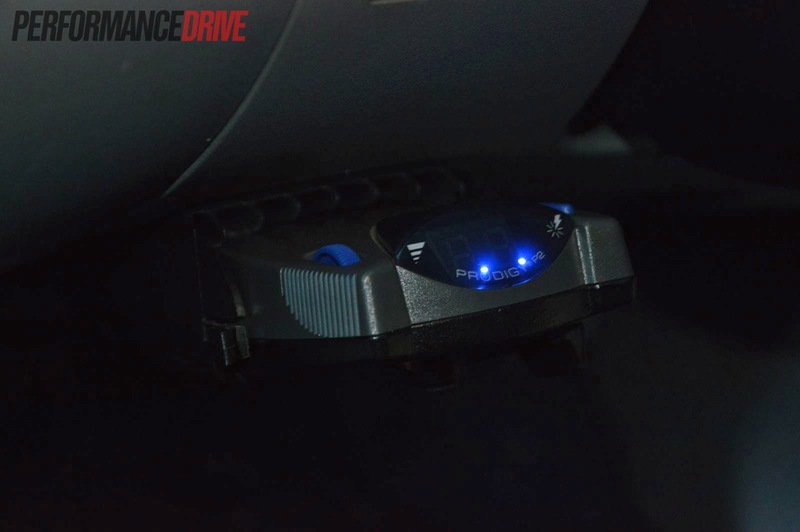 Engaging the diff locks automatically switches off the stability and traction control for ultimate off-road preparation. 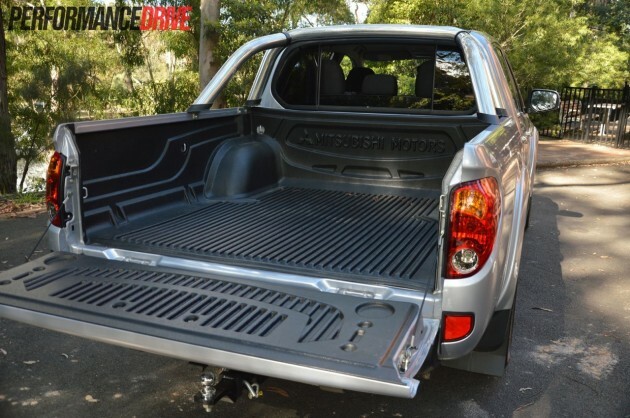 In the back, the double cab Triton comes with a huge tray with a diagonal length of 2100mm. It’s 1470mm wide, 1505mm long, and 460mm deep. 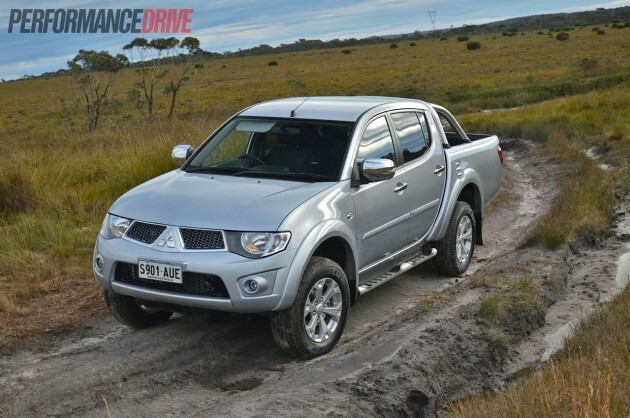 It also has a towing capacity of 3000kg. These figures put it on par with the common rivals. 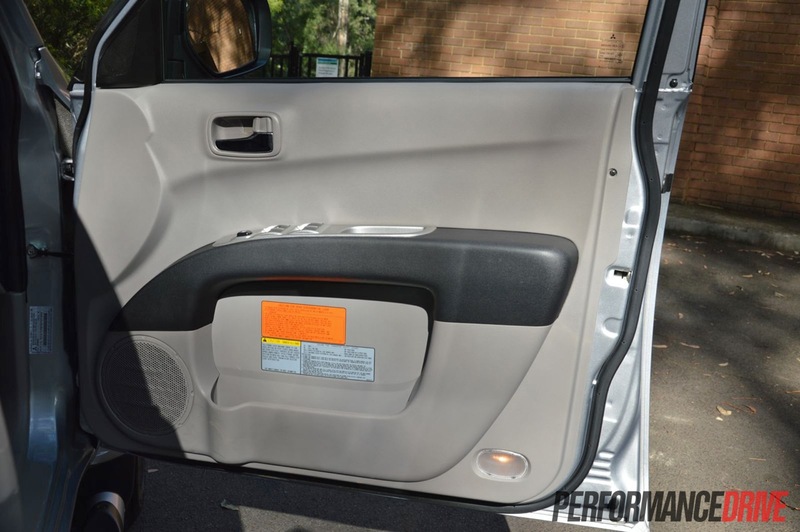 See below for the length and width of the double-cab tray sizes of the popular contenders. 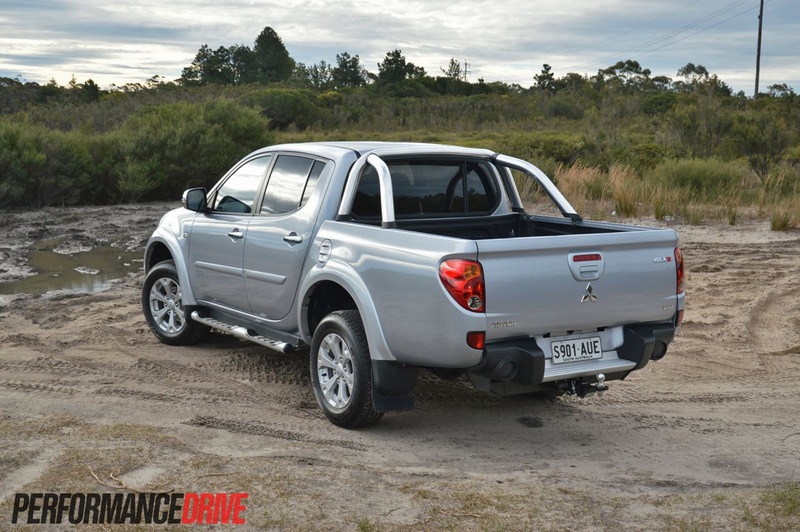 Driving a 4×4 ute is similar to driving a large SUV. 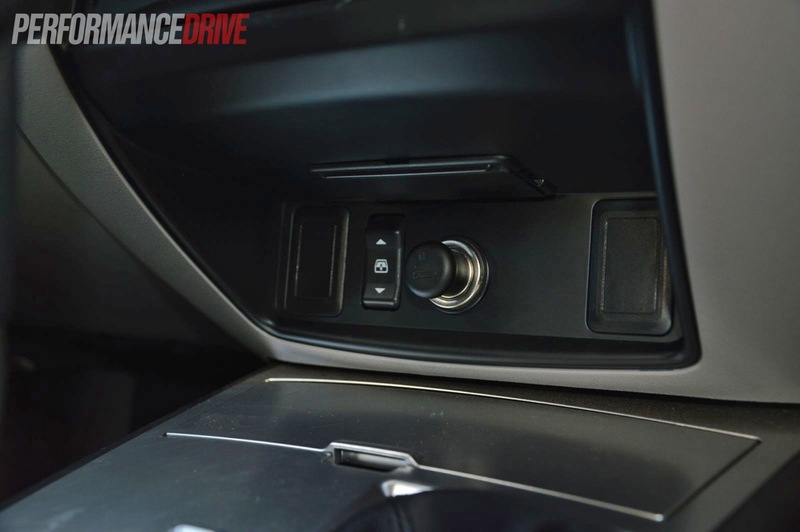 The commanding driving position translates into user confidence, which is important when you’re steering a 5282mm-long vehicle. It is long, very long. 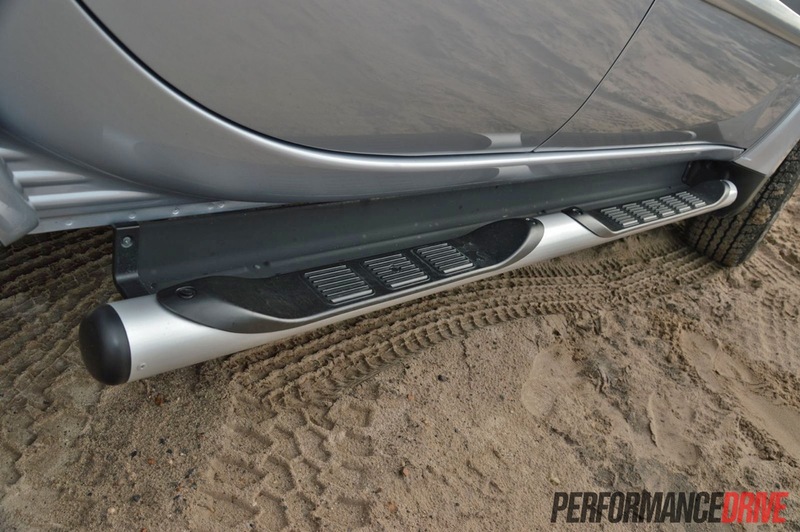 Parking forward is easy, with the short front overhang letting you get really close to obstacles. 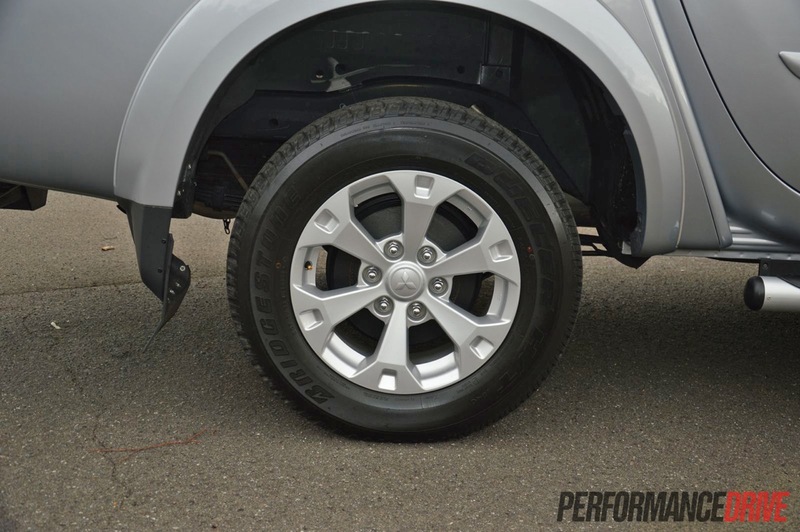 Reverse parking is a little harder, with no reverse camera or sensors to make things easier and safer. The tray stretches right out, often more than you might have estimated. Like all vehicles, it simply takes some getting used to. Out on the road, the 2.5-litre 131kW/350Nm turbo-diesel engine offers ample shove, and rarely struggles to pull the 1999kg beast, even up long steep hills. 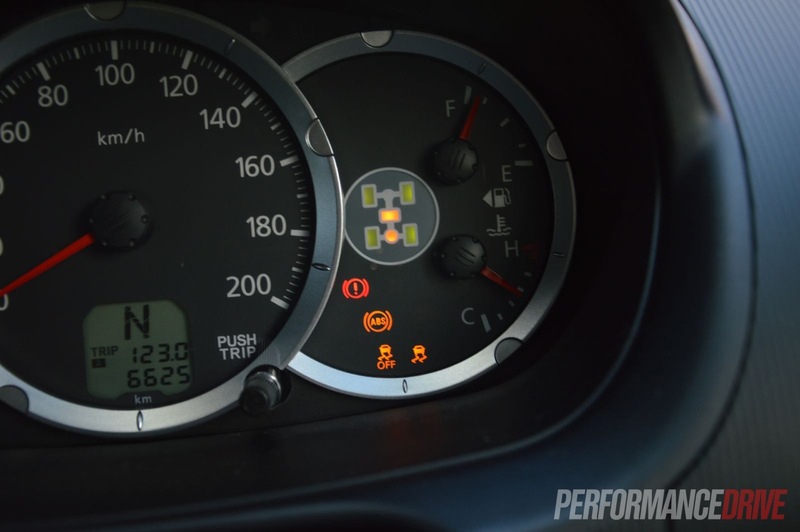 While there doesn’t seem to be any evident turbo-lag, there is an optimum rev window or ‘power band’ which seems to be the nicest place to be. 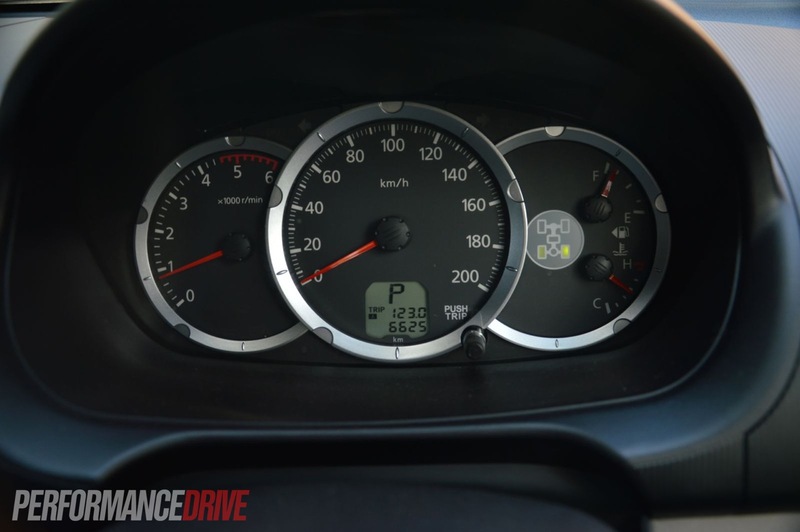 Above 2000rpm, no matter what gear the five-speed auto transmission is in, the GLX-R is happy to churn along and gather speed with reasonable haste. 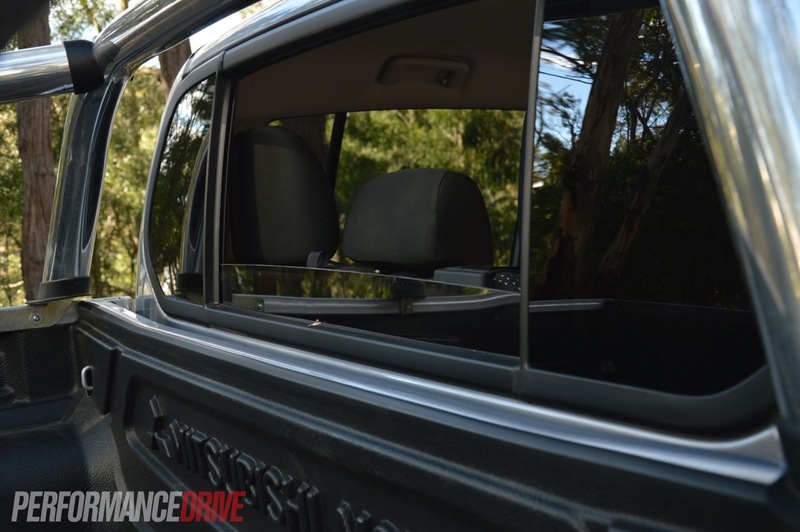 We timed 0-100km/h in 12.2 seconds, which is slow but about average for one of these big utes. 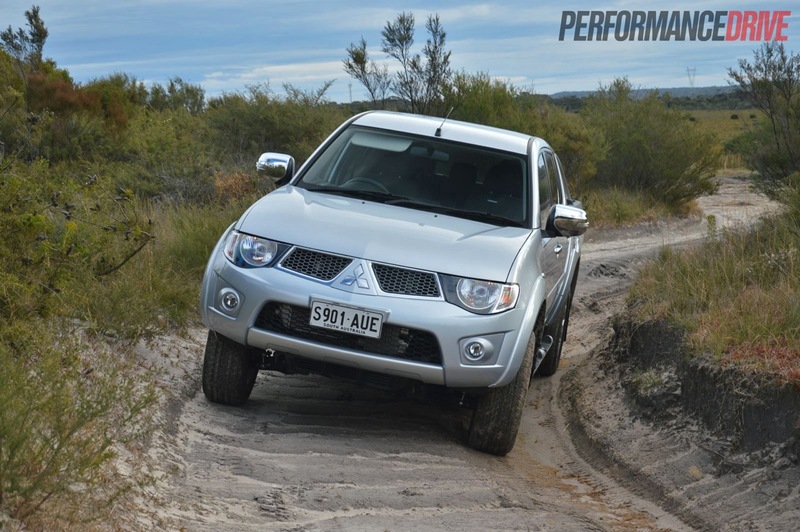 Through the bends, the Triton GLX-R is obviously no sports car. It has a tall centre of gravity and the big balloony tyres do flex noticeably. Even so, the sports suspension does its best to cancel out feelings of nervousness. There is some body tip at initial turn in, but after that, body roll and body control remains stable throughout the arc of a bend. 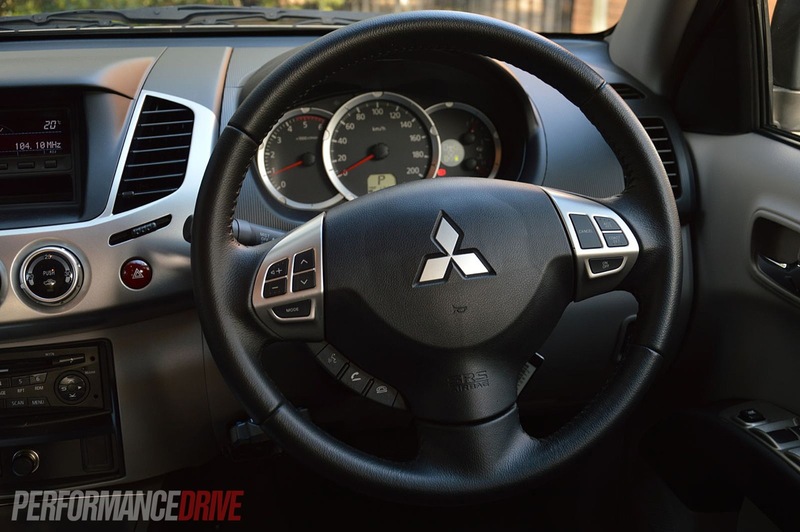 Perhaps the most unpleasant aspect of the handling is the steering. The amount of turns lock-to-lock makes it painstakingly tiresome to thread through tight city streets and around roundabouts. Fortunately, off the bitumen is where the Triton shines. In a world where electronics are overtaking manual labour, it’s refreshing to see the Triton comes with proper mechanical locking differentials as opposed to the electro wizardry offered in some rivals. 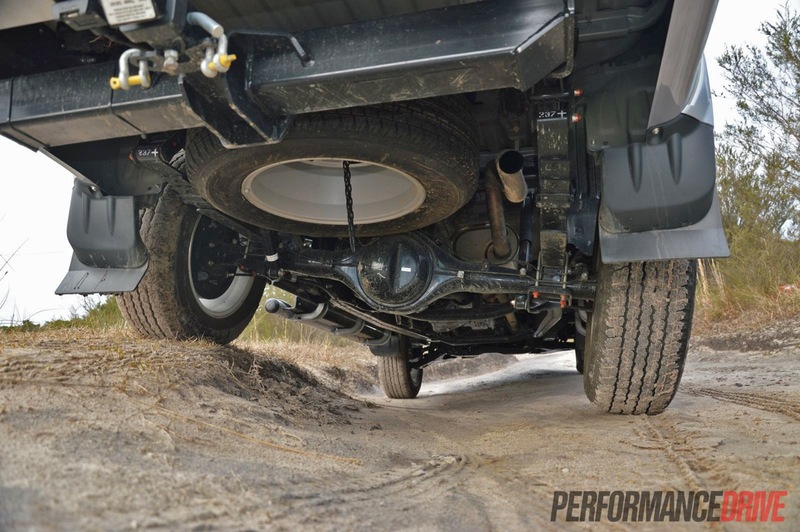 With this sheer mechanical grip, the GLX-R is a superb off-road vehicle. 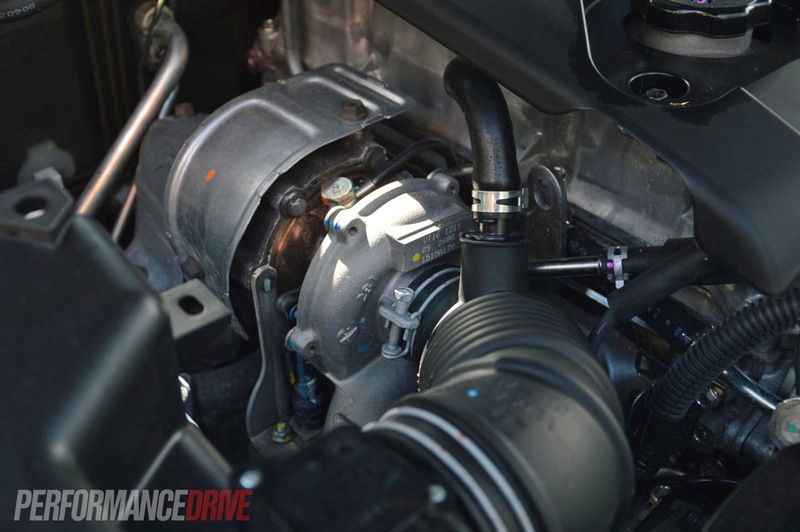 If there is any situation that slows down progression, whether it be thick mud, deep ruts that cause lots of wheel travel, or boggy sand, you need only engage the centre and rear diff locks and it almost always presses on. We struggled to find any flaws during our tests. 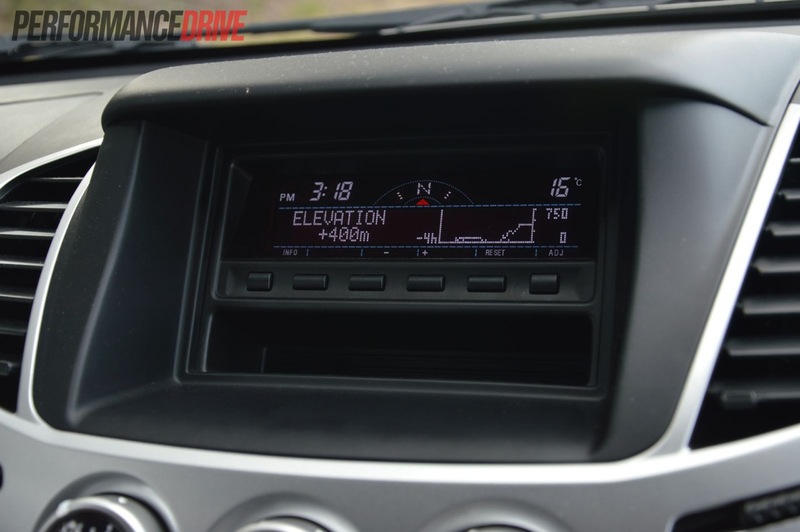 The 205mm of ground clearance is perfect for clambering over rocks and logs, and that steering, with its excessive turns, comes into its own on the rough stuff as it won’t rip your hands off every time the front wheel grabs on an object. It’s all mighty impressive. 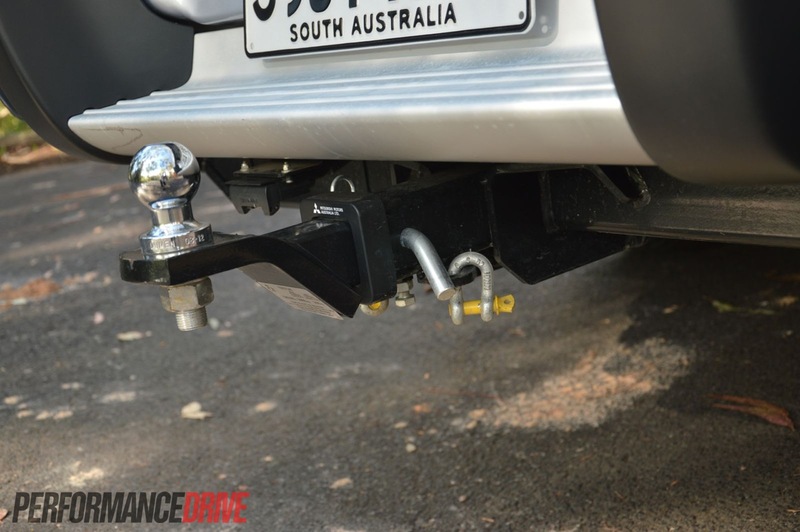 If you simply want a sporty ute with all of the flash tinsel and road presence, and don’t necessarily need proper 4WD hardware, there are some other options you should consider. 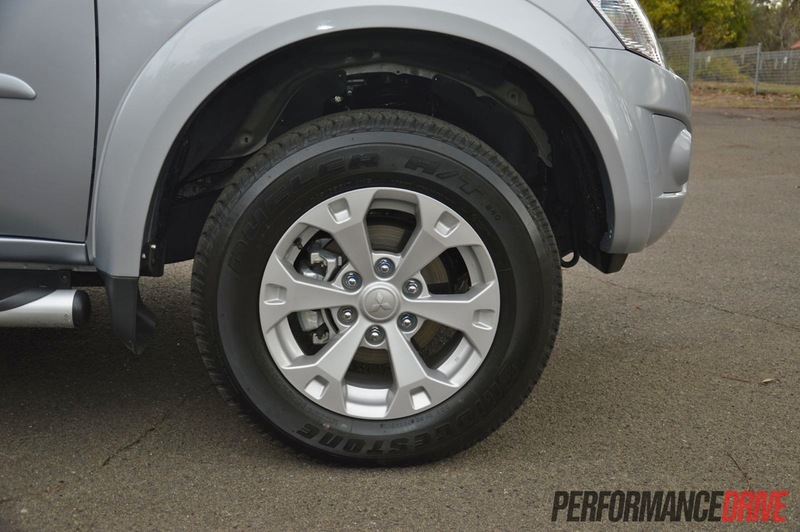 The VW Amarok is a nicer on-road driver, while the HiLux is a better-equipped all rounder. 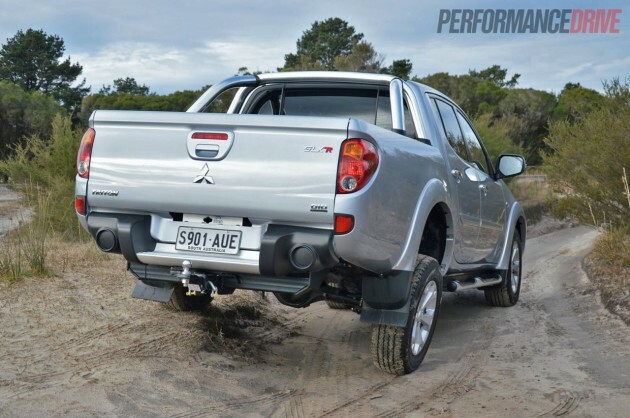 For those who actually require a 4×4 ute and need to rely on one for work and/or play regularly, the Triton GLX-R is a great proposition. 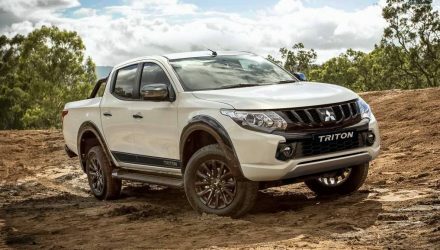 With tremendous off-road prowess, lots of user-friendly and segment-skewed features, and that five-year Mitsubishi warranty, the Triton is a true workhorse. It’s no wonder it is the third-best seller – and soon-to-be second best?